If you’ve been diagnosed with hearing loss, you may be feeling overwhelmed. Chances are, you’ve got misconceptions about this condition. 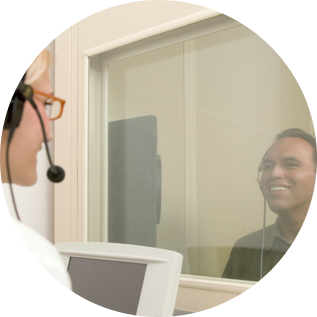 Understanding loss of hearing will improve your chances of successful treatment. Patients with loss are hardly alone. This is a very common condition that affects one-third of those by the age of 65. But it’s not just confined to older adults: hearing loss strikes people of all ages, including children. The most common causes of loss of hearing are aging and noise exposure. A number of additional factors can help contribute to hearing impairment including ear infections, trauma, congenital defects, excess earwax, hypertension, heart disease, diabetes, otosclerosis and Meniere’s disease. It may take several years for a person with loss to become aware of his or her condition. Loss of hearing occurs gradually, and the body becomes accustomed to the impairment. Often, it takes a family member or close friend to point out the condition. If you have trouble understanding others when they talk, think their speech sounds muffled, frequently find yourself asking them to repeat what they have said, and turn the volume on the television and radio to levels others find uncomfortable, you may be experiencing hearing loss. Sensorineural hearing loss, the most common type, is incurable. But some forms of conductive hearing loss, particularly noise-induced, can be prevented. Make sure to wear hearing protection if you will be exposed to loud noises (sporting events, concerts, motorcycles, power equipment) for extended periods of time. Treat ear infections promptly, and make sure your children are current on their vaccinations.